Cajun cuisine is a style of cooking named for the French-speaking Acadian people deported by the British from Acadia in Canada to the Acadiana region of Louisiana. 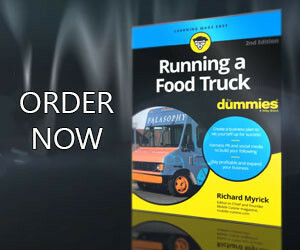 It is what could be called a rustic cuisine; but has become a staple in the food truck industry, no matter what part of the world food trucks operate in. Dishes typically use The Holy Trinity (green bell pepper, onion, and celery) and range from seafood dishes, gumbo and jambalaya. Because of this we have decided to run a popular contest to help us determine our readers favorite for our 2019 Cajun Food Truck Of The Year. Will our 2019 winner Ragin Cajun On Wheels food truck out of Los Angeles, CA reclaim the title or will there be a new champion named? This contest opens today and will be run in two stages. For the next two weeks (we will accept emails submitted by 11:59 PM Eastern Time on Friday February 22nd, 2019) we will give our readers to submit their choices via email to: contest [at] mobile-cuisine [dot] com, and once the votes have been collected, we will open a poll on Monday February 25th, 2018 to allow voting from the top 10 email submissions. To be eligible for the final poll for the 2019 Cajun food truck of the year, the food truck needs to have opened before January 2019 and must regularly serve Cajun cuisine from their truck, cart or trailer. The trucks can be located in any country around the world so feel free to submit choices from outside of North America. We look forward to receiving your submissions. Food truck owners are free to submit their own trucks for consideration and voters may vote as often as you wish. The only request we have is that you submit one entry at a time and include the name of the truck as well as the City/State or area the Cajun food truck operates in. So let the voting for the 2019 Cajun Food Truck of the Year begin. And remember, vote early and vote often.